Part-Whole Concept and the Comparison Concept . You will, however, noticed that the Change Concept is seemingly familiar when compared with the Part-Whole Concept and the Comparison Concept. The Singapore Math Primary Curriculum adopts a concrete-pictorial-abstract progressive approach to help pupils tackle seemingly difficult and challenging word problems. 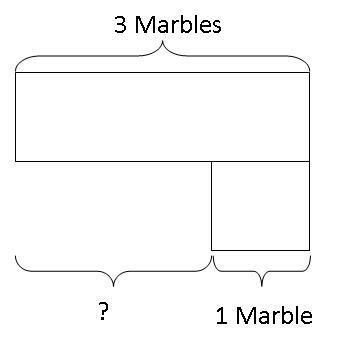 Mathematics Teachers in Singapore usually make use of concrete objects to allow students to make sense of the relationship between the new value of a quantity and its original value after an increase or decrease takes place. 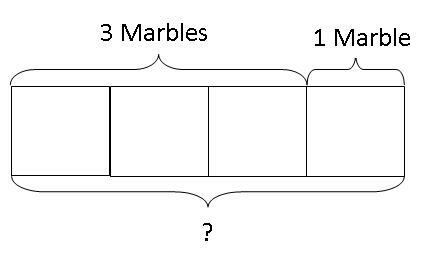 Once the pupils can visualize the change caused by the increase or decrease in quantity, they will then move on to put these relationships in rectangular bars as pictorial representations of the math models concerned. Peter has 3 marbles. Caleb gives Peter 1 more marble. How many marbles does Peter have now? 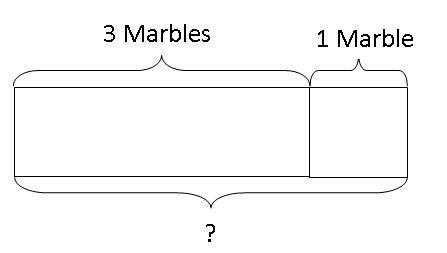 We can first give the child concrete objects, like 3 marbles and another 1 marble, and let the child display the 3 marbles first and increase the total of the group by putting in 1 extra marble into the group to find the new value after the increase of 1 marble. 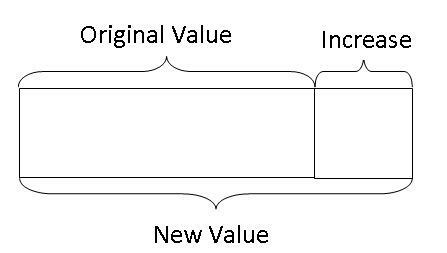 Eventually, the equation can be visualised as an original value being increase by a certain value to obtain the new value. 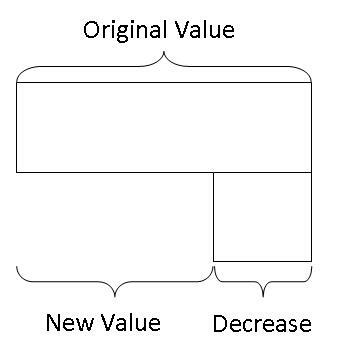 To find the new value after the increase for the above problem, they just need to add the "increase" to the original value. 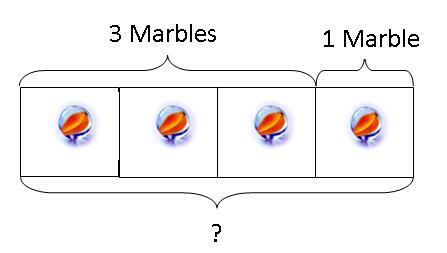 Therefore, Peter has 4 marbles now. Peter has 3 marbles. Peter gives away 1 marble to Caleb. How many marbles does Peter have now? 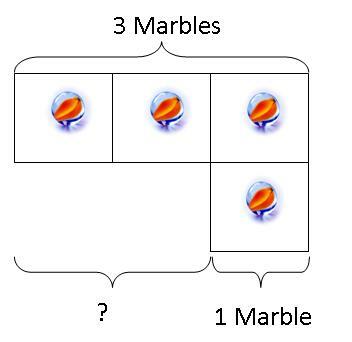 We can first give the child concrete objects, like 3 marbles, and let the child display the 3 marbles first and decrease the total of the group by taking away 1 marble from the group to find the new value after the decrease of 1 marble. Eventually, the equation can be visualised as an original value being decrease by a certain value to obtain the new value. 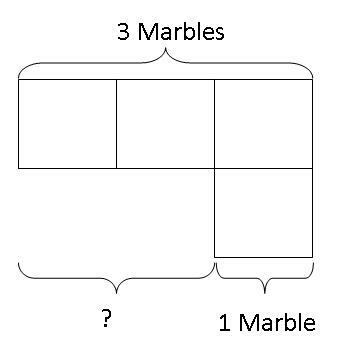 To find the new value after the decrease for the above problem, they just need to subtract the "decrease" from the original value. Therefore, Peter has 2 marbles now.